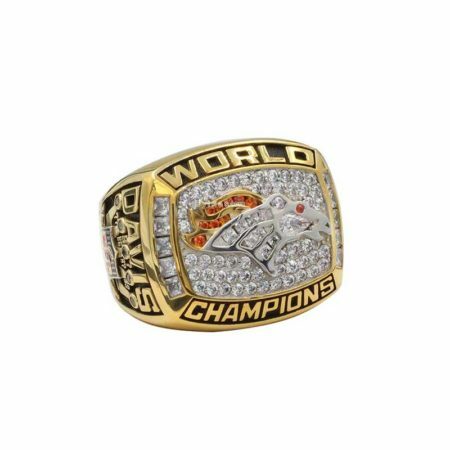 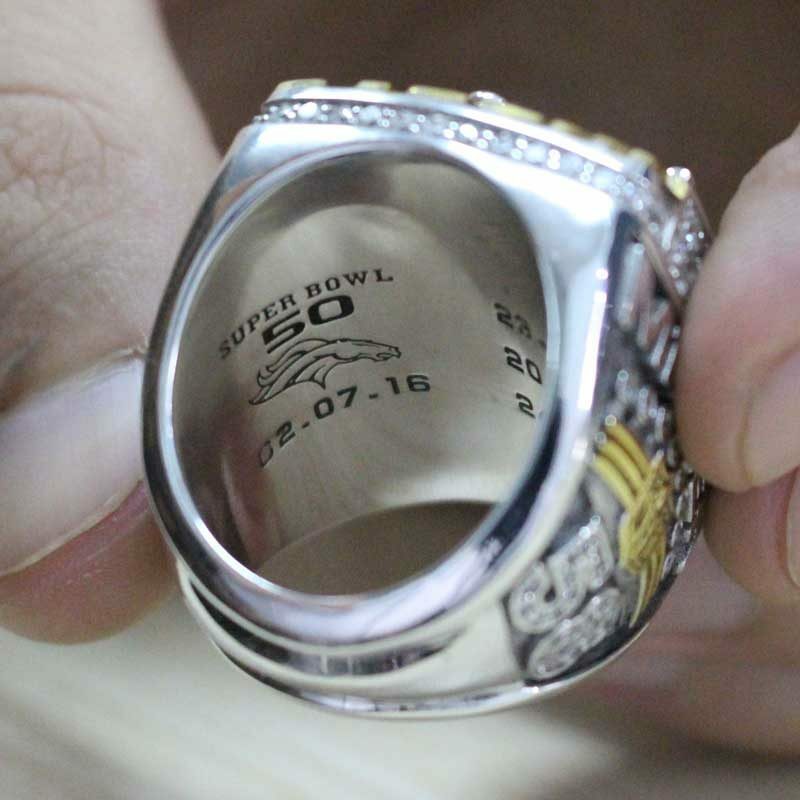 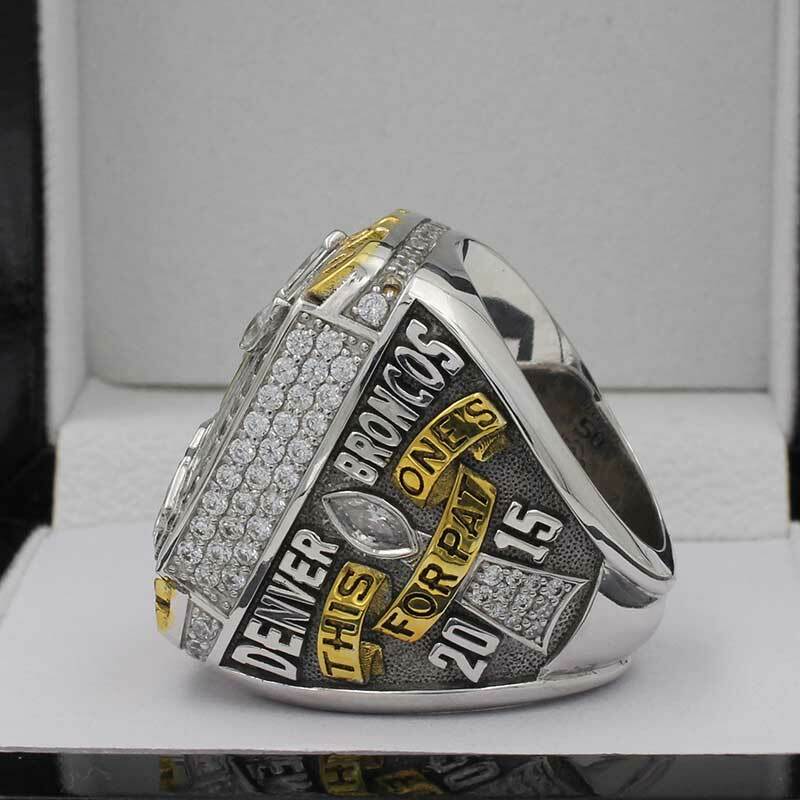 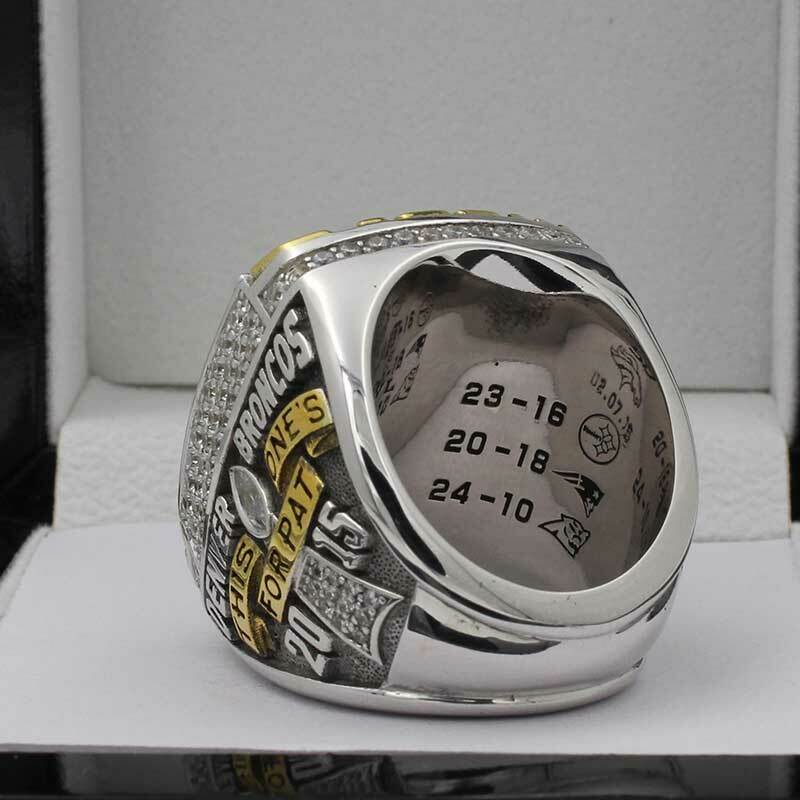 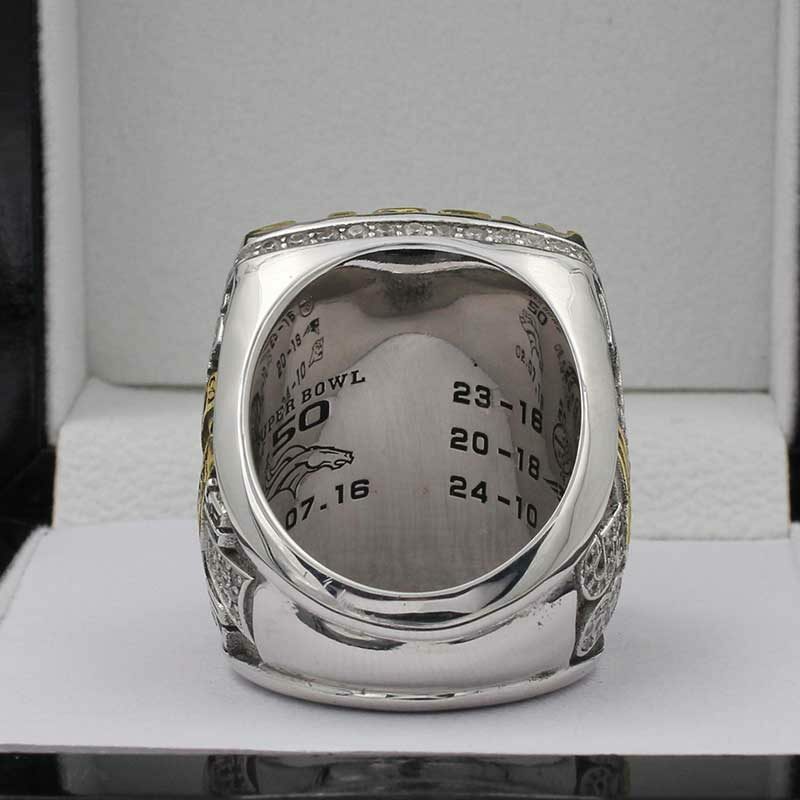 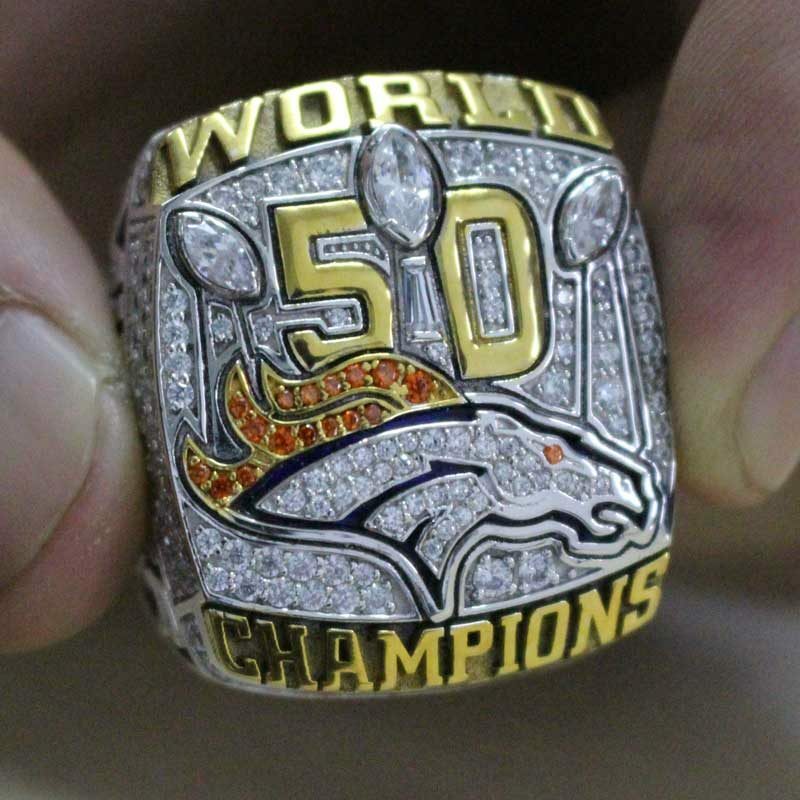 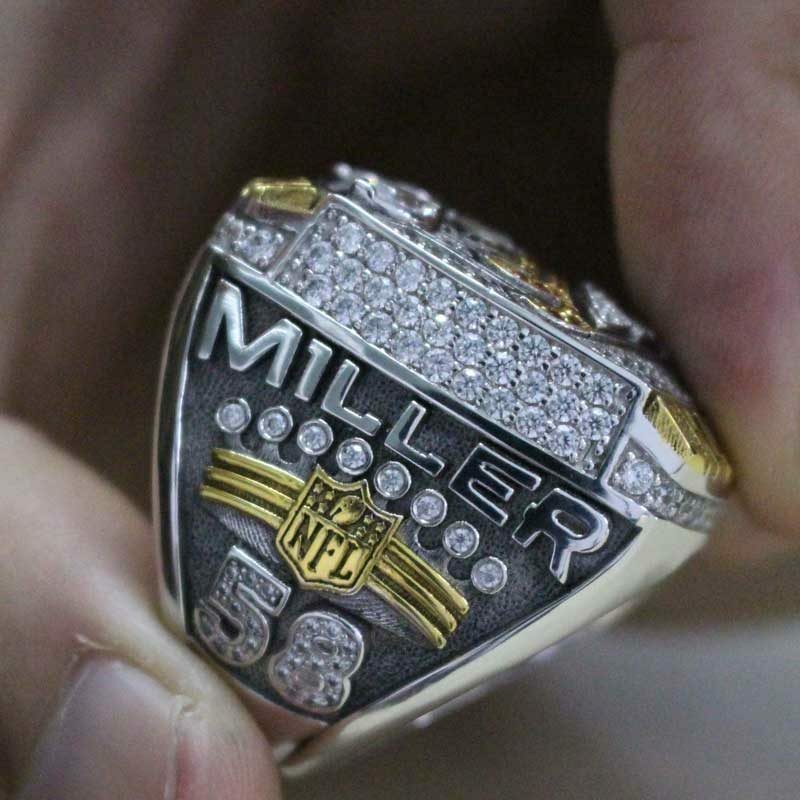 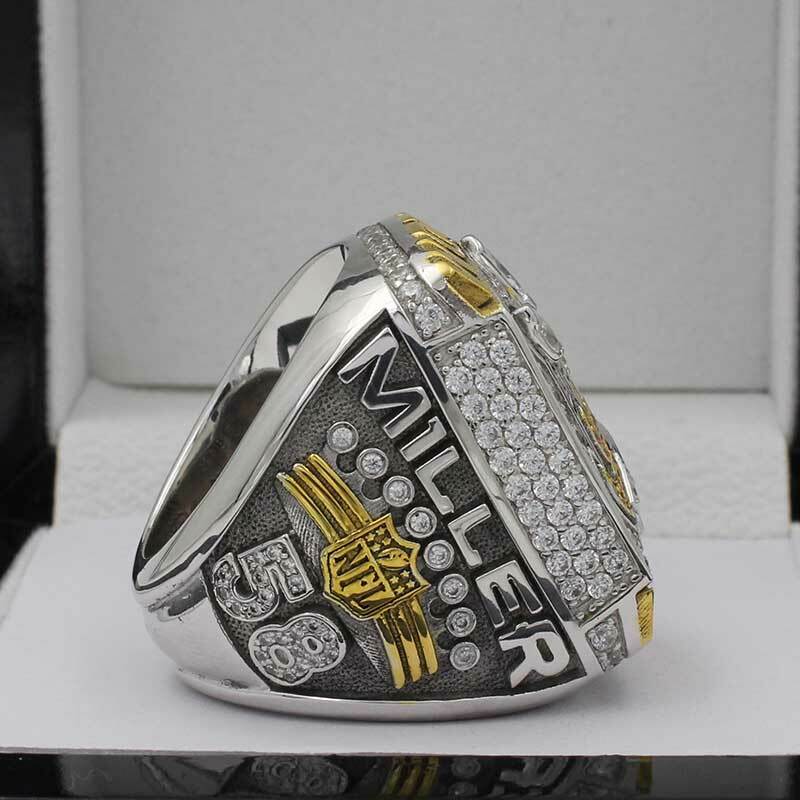 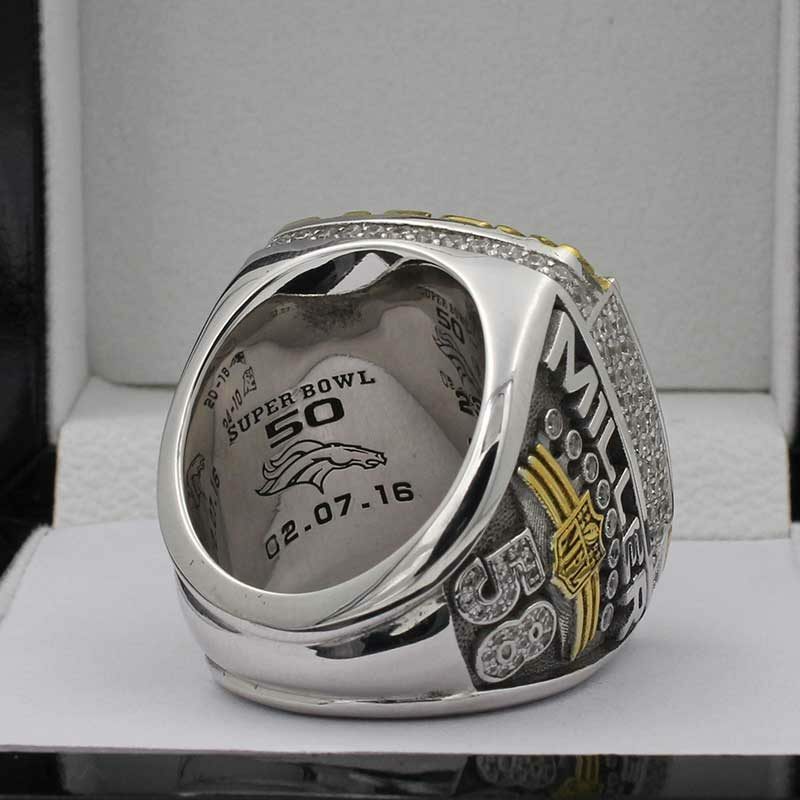 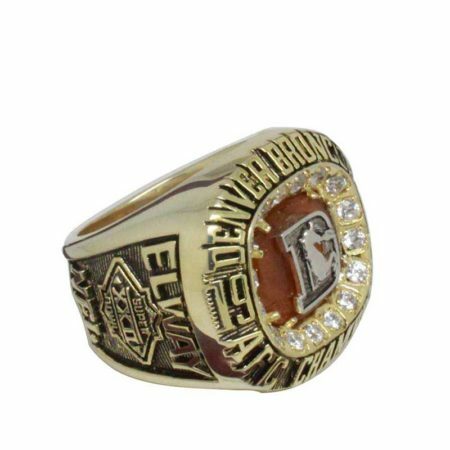 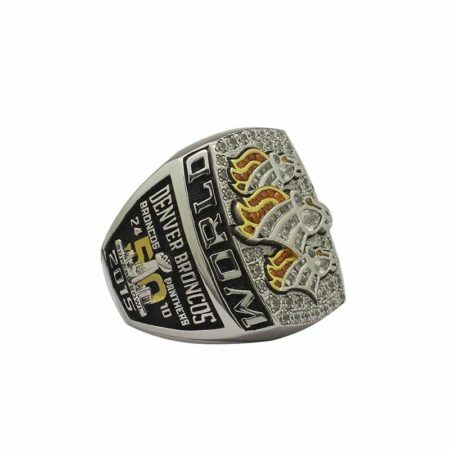 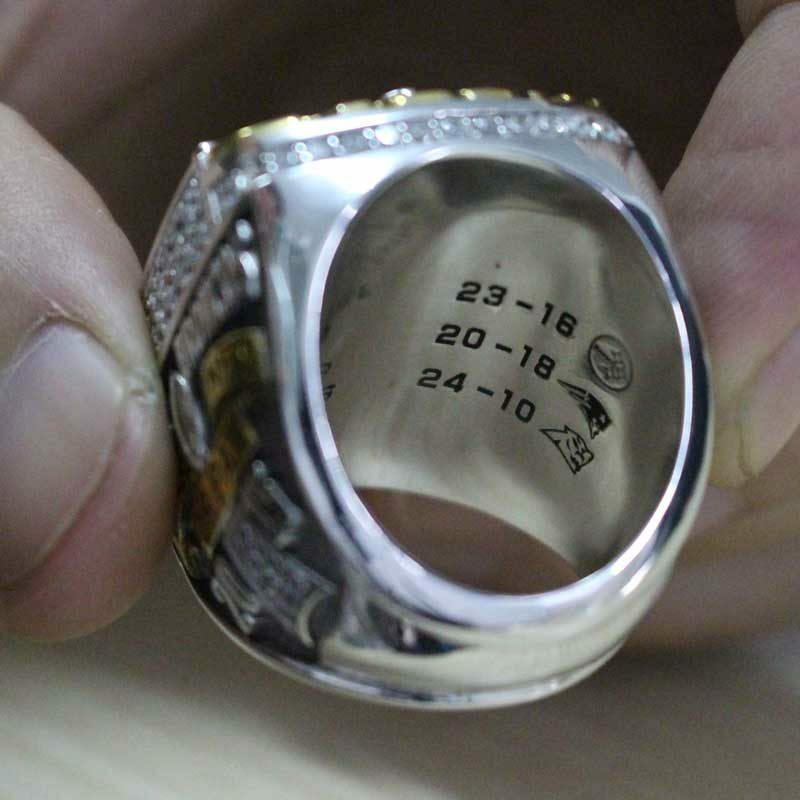 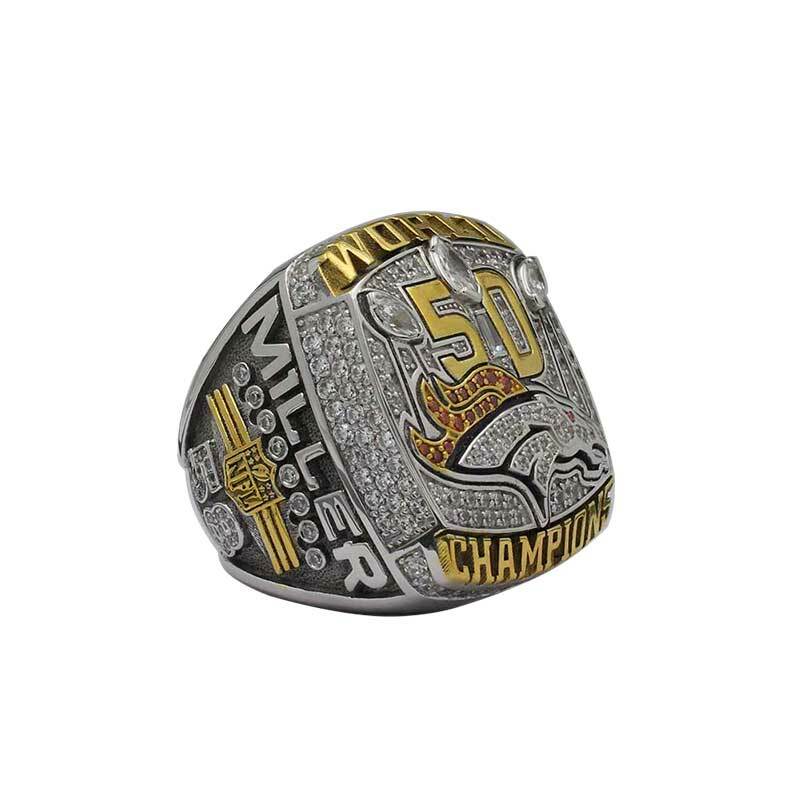 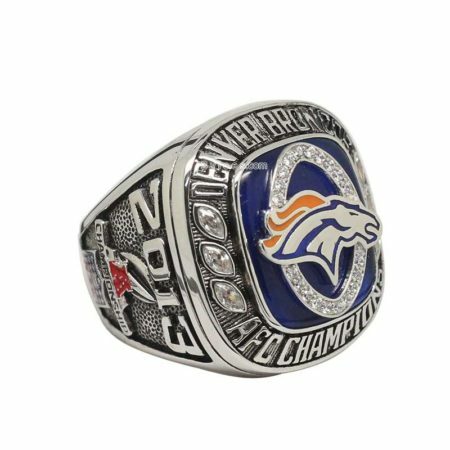 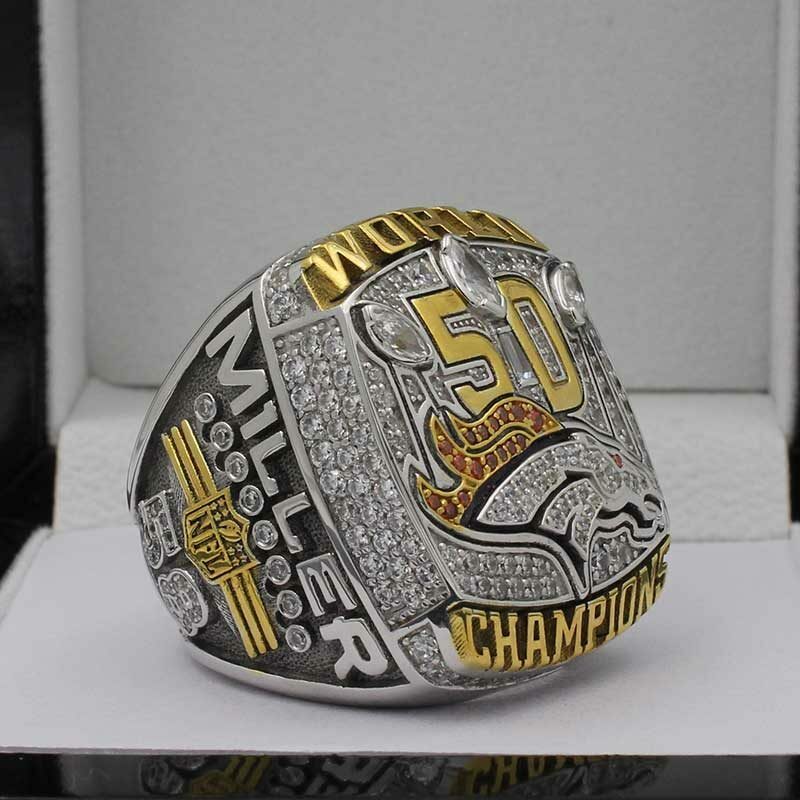 The 2015 Super Bowl 50 Denver Broncos Championship Ring is regarded as one of the finest super bowl championship rings ,as well as one of the most expansive super bowl rings untill now.This game is very nearby and we don’t need to repeat again that how incredible it was. 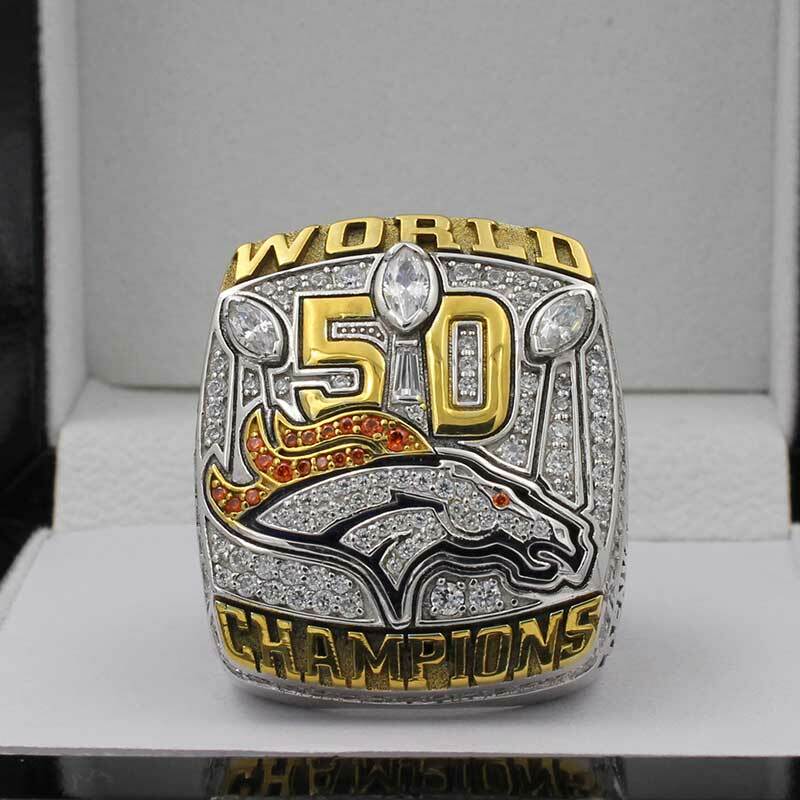 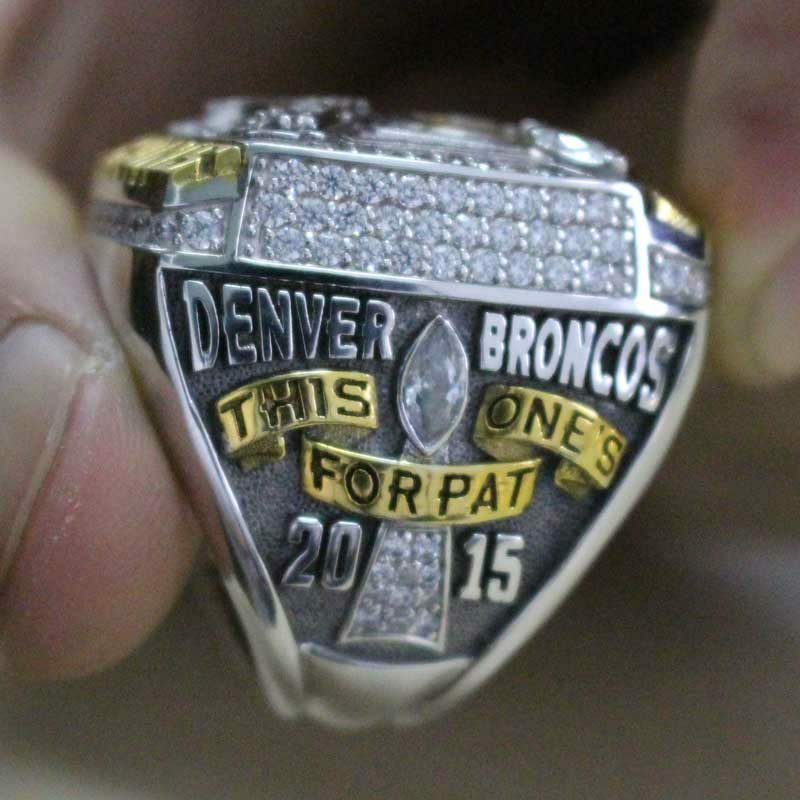 just to know that Denver Broncos made the day and got their Super bowl 50 rings. 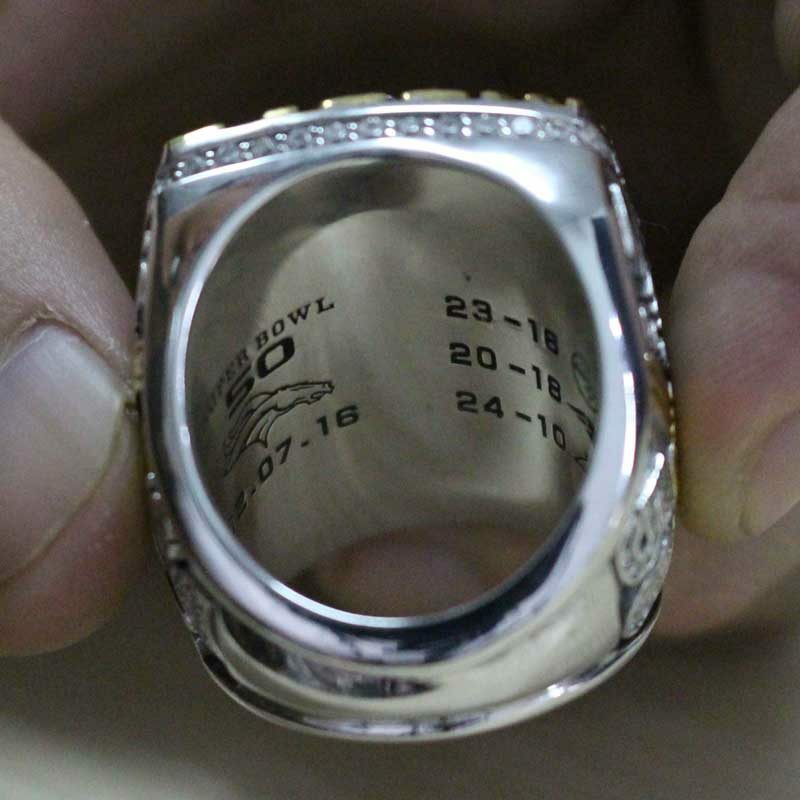 we know that The QB Peyton Manning, at this final football career, received a Denver Broncos super bowl 50 ring as a happy ending. 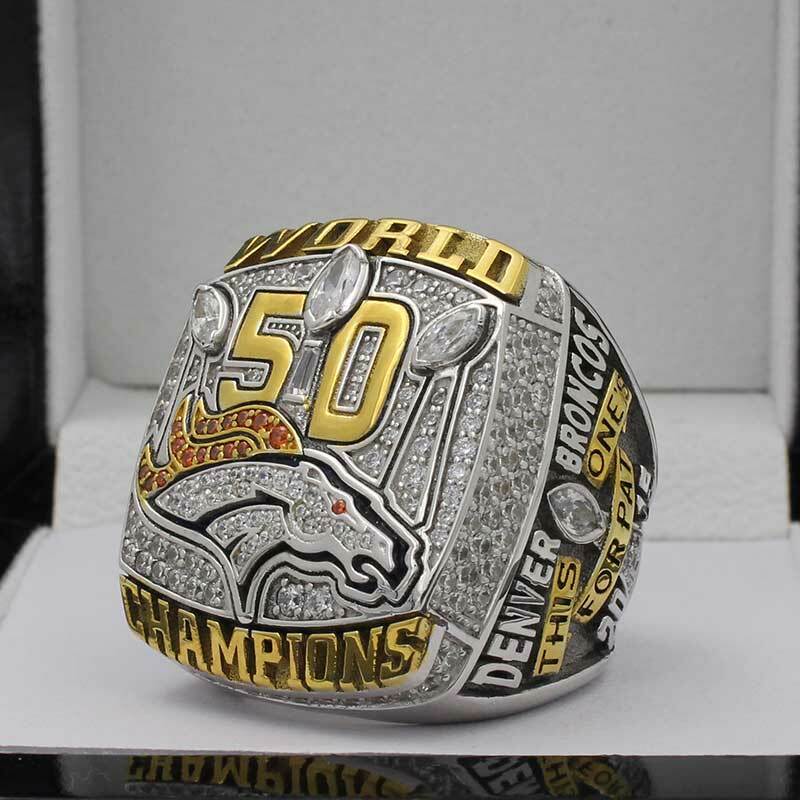 the back up QB Brock Osweiler at least left Broncos with a 2015 super bowl ring, and the MVP Von Miller gurantee a better contract with Broncos with this super bowl 50 ring, and the Demarcus Ware resumed back his stolen NFL Super Bowl 50 Ring, Last but not least, John Elway collected another Broncos super bowl championship ring again ,not as a player but as general manager.